The wife of Ekiti State governor, Erelu Bisi Fayemi, has urged APC women in Ekiti State to continue to mobilise for the party ahead of the forthcoming general elections. Erelu Fayemi told the canvassers that the re-election of Buhari/Osinbajo is a task that must be done. She said all the women in Ekiti want to go to the next level of Buhari’s government where there will be more progress and development, and for these to be achieved they need to cast their votes en masse. The wife of the governor assured the people that the present administration has their welfare at heart and called on them to reciprocate the gesture by voting for APC at every level of the elections in the state. 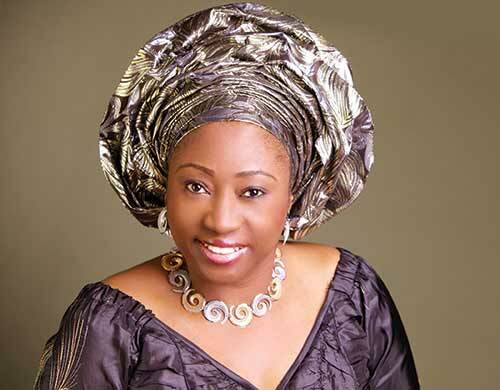 Earlier in her own submission, the Director- General, Women Directorate for Buhari/Osinbajo campaign organisation, Mrs Omotunde Fajuyi said the women were carefully selected with a view to sensitising the people on how to vote properly, go door-to-door, and visit the nooks and crannies of the state to address their fellow women, folks. Some of the canvassers and women at the forum described the inauguration as laudable. They promised to do their best in the task ahead.